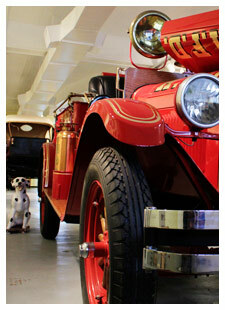 The Woody Winfree Fire-Transportation Museum honors fire fighters while preserving history. The museum opened in 2008 in the city fire station in historic downtown Hopkinsville. The original fire station was built in 1905. Ironically, it was lost to fire in 1924 and was quickly rebuilt, remaining open until 1964. Many of the original features of the building remain, including the corrugated concrete flooring that provided traction for the horses that once pulled fire wagons and the original 22-foot brass pole. A row of hats and coats hangs along one wall beneath the names of the men who once worked there.